I am, to my core, a true believer. My belief in American democracy is absolute and in the end I believe the people will always choose the best course for the nation. It was this faith that led me to the biggest personal crisis of political conscience of my life during the 2016 presidential election. The choice was supporting the nominee of the Republican Party, elected by the primary voters, Donald Trump, whom I regarded as a limousine liberal from midtown Manhattan who had taken over the party in a populist coup of epic proportions. In my opinion, he was and remains so ignorant of public policy, so incapable of executing the responsibilities of Commander in Chief and morally unfit to hold any elected office. The alternative was to walk away from the Republican Party and support one of many fringe parties, some of which at first look have platforms I could be comfortable with, all of whom upon deeper examination fail the test of seriousness. During the course of that year, speaking with friends and political acquaintances I questioned if my assessment was too harsh, too elitist in my views; after all Donald Trump won a hotly contested primary nomination fair and square. Maybe things would work out and the will of the people would be vindicated. I am in the end a realist and understand my vote; my single voice in the wilderness would not alter the future of the republic. My conclusion that Donald Trump is an unusually good con-man was firm, as is my moral conclusion that he was a misogynist I could never support. Faced with the nature of the election itself which was entirely toxic and without redemption I simply withdrew from the discussion. By the fall of 2016 I had all but stopped watching political television, an addiction since my preteen years, and retreated to reading select policy focused publications and history. On Election Day I could not vote for Trump. As policy does matter, voting for any nominee of the democrat party, especially the compromised nominee in 2016 was not an option. I flirted with supporting the Libertarian nominee Gary Johnson but in the end concluded that party squandered one of the greatest opportunities in American political history by standing firm with a fringe pro drug platform that turned away many disaffected republicans. In the end on Election Day I supported the GOP down ballot and exercised my right to write in the person of my choice for president (a conservative republican of great character). In short, I demonstrated complete political cowardice by going quiet when I recognized the dangers presented by the Trump candidacy. This blog and my small Twitter feed are my itty bitty soap box in the digital waste land. Written purely for myself, to the extent some have read my words, agree or disagree, I have been grateful. Never has this been an effort at mass market appeal or commercial return. I believe in the power of words and have enjoyed the work of self expression. Yet by not standing up and shouting at the top of my digital lungs STOP THE INSANITY, even if no one was listening, I failed my expectations of myself. When Donald Trump won, an event which did not surprise me and in which I found no pleasure (I would not had the other candidate won) he became my president and I wished him nothing but success. Indeed I hoped beyond hope that I was wrong and he could have become the president his supporters thought he was. Unfortunately that was false hope. Donald J. Trump, the President of the United States of America, is utterly without the abilities and competencies needed to execute the office which he holds. Furthermore, he has continued to demonstrate he is so morally compromised as to be unfit to hold the office. To be clear, I agree with more than 90 percent of the policy positions of his administrations and (fortunately) have faith in many of his appointees. Neil Gorsuch will be an outstanding associate justice of the Supreme Court and with James Mattis as Secretary of Defense, potentially the best person to ever hold that office, we can sleep safe at night. However, there comes a point where you have to honor your moral convictions and put the country and its interests before political expedience. Political parties perform a critical function beyond simply bringing together people who share views enabling them to achieve change, parties serve as a filter for policies and of people. The bottom line is parties need to sort through potential candidates and ensure that those who are not capable and those that are unfit are filtered out through a rigorous and transparent process. In 2016 both the Republican and Democrat parties utterly failed in this respect. Let there be no doubt, Donald Trump has been the target of incessant attacks from the leftist leaning media with a voracity we have rarely seen before. The left has refused to accept their chosen one could possibly loose to anyone and has worked to undermine President Trump’s legitimate election. The action of both groups only serves to solidify my view they are ill willed fools. Yet their ignorance and improper activities should not in any way force the conservative movement to abrogate our moral compass and continue to support a totally repugnant individual with no redeeming virtue other than a signing pen. There are many, particularly on social media, who will say that being a conservative or a republican is to necessitate blindly supporting President Trump. These people are prepared to irrevocably link the future of the party and the conservative movement to one individual who before 2015 had a history which was not republican and on many issues was outwardly liberal. This folly is beyond dangerous and presents the very real risk that political control of our country will be turned over to leftists. Finally conservatives have always stood for values and personal responsibility, making the personal transgressions Mr. Trump has admitted to (although he now is presenting alternative facts on some) simply disqualify him from any position of moral leadership. It is incumbent on each and every citizen to draw their own conclusions but let us be clear, if you support any individual for office, you accept responsibility for their actions. Some say abandon the Republican Party, form a new party and more forward. But one need only look at the example of the Canadian conservative movement in the 1990’s when multi-party divided right handed power to a Liberal party which was hardly a political force. We would almost certainly gift power to the Democrat party for more than a decade at all levels of government. Rather the force of sane, rational and conservative thought needs to take back the GOP. The republican majorities must show they can actually govern and conservative voters must ensure the 2020 GOP presidential nomination is won by a real conservative worthy of our trust and support. I am just one voice in the wilderness, but to remain silent is to acquiesce to the darkness. It cannot be overstated; the presidential election of 2016 is the most consequential in the post Cold War era and domestically since the end of the Second World War. The leftist policies of the Obama era will either be swept into the ash pile of history or made politically irrevocable and indeed extended by Hillary Clinton running as the lost leftwing candidate in American History. The resultant tax increases emerging from the Democrat convention will top One Trillion Dollars. She will destroy the highest quality health care system in the world and replace it by the “equality” of mediocrity. She will veer the Supreme Court to the radical left within days of her election. The only people to economically benefit will be the Clinton family as we can expect big money donations, many of them foreign, to flow in as Bill runs the family money machine from the East Wing of the White House. This year should have been an easy win for the GOP as only the Democrats and their tools in the media were celebrating the historically unpopular Obama administration and nominating a candidate who is distrusted by 2/3 of Americans. Well, if any party can screw up a sure thing it is the 20th Century GOP. First we find a way to keep the Democrats as a majority in the senate in 2010 through 2014, reelect the weakest president in the past century in 2012. Now in 2016 we find a way when presented with the most talented field of presidential candidates in memory to nominate a world class narcissist, misogynist, mediocre (at best) businessman, and first class nutcase Donald Trump. I will not waste time restating the case against Trump; it plays out every day on television. So America is faced with an unfathomable choice; between a Billionaire Limousine Liberal from New York an a Millionaire Limousine Liberal from Westchester. 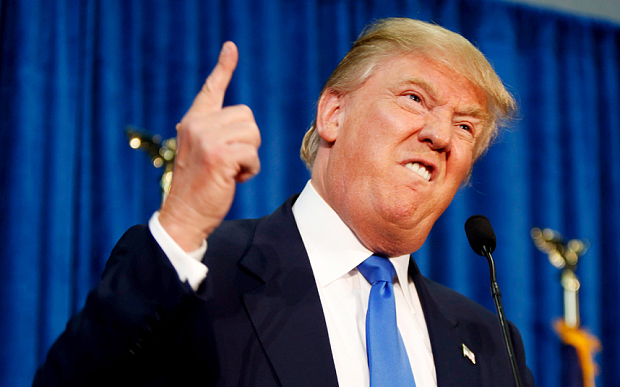 The Donald offers incoherent rants and virtually no policy. It serves those of us who are proud to be associated with the Party of Lincoln and Reagan right that we should fall for a trashy long-con perpetrated by a mediocre con man. 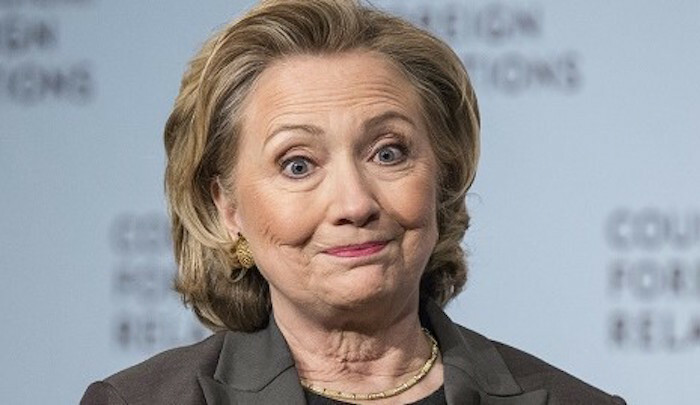 On the other hand the Dems have served up a warmed over intellectually bankrupt and morally corrupt nominee who will be the first president in history who, if she was to enlist in the military, would not qualify for a low level security clearance. This would have the making of a great dark comedy if it came from a studio in Hollywood, although it would likely be far too unbelievable. Yet reality it is, and reality must be faced head on. For the past year I have stepped back from politics, a passion I have enjoyed all my life. This slow moving train wreck has quite simply been too painful to watch. Yes voters are angry, especially on the right, at the elected establishment’s failure to recognize the anger of the people who sent them to Washington. But the solution is not to send a lunatic to Washington, particularly one who based on his lifetime of statements, is likely as liberal as Hillary. If you wanted change, no one was less liked by the establishment than Ted Cruz. Want a bigger tent, Marco Rubio was your person, a Country Club Republican then John Kasich was your man. There were literally a dozen republicans who would have made good, if not great, presidents and for whom defeating Hillary would have been easy. What did the voters do, they elected a warmed over reality TV star. The day after Trump became the presumptive GOP nominee I was ready to head down to our town hall and change my registration from Republican to Libertarian. The two lefties from New York simply are not worthy of my vote. Yet, I didn’t feel like handing the Donald an even bigger victory by turning over the Republican Party to the Know Nothing crowd. 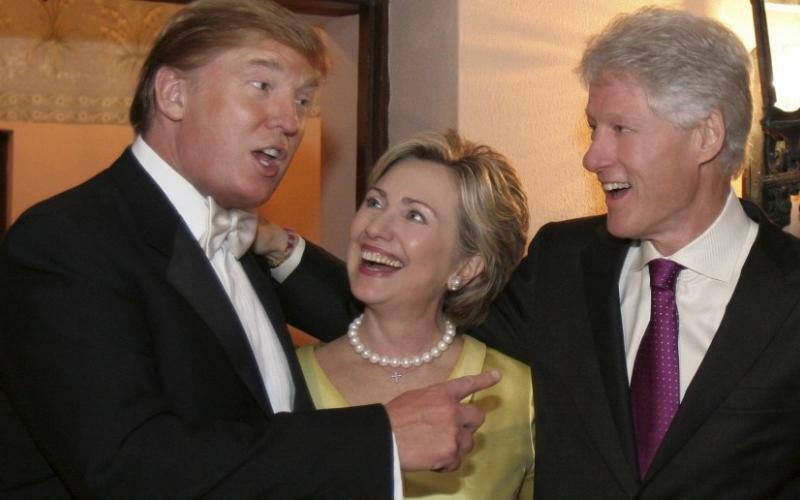 To be sure, the next president of the United States will be either Hillary or Donald, that much is clear. However, in either case the best antidote is a Republican majority in both houses of the Congress. It will take serious people, conservatives one and all, to stand up for the constitution in what will be trying times. Regardless of the outcome at the presidential level, the GOP is almost certain to retain control of the House with Paul Ryan as its Speaker. It will be imperative that the house use its considerable power, not least its control of the purse, to keep whichever NY Leftist is in the White House from destroying our economy. The Senate may be beyond hope if Hillary wins which will mean the Supreme Court will be in the hands of the radicals she appoints for decades. But the house can deny either Liar or the Loony the ability to drag the country too far down the left lane. But the real challenge will fall to the millions of Americans who call themselves Republicans to ask themselves how we could have let this happen. The people get the government that they elect. This one is on each and every one of us who let it happen. It’s not enough to be #NeverTrump, we must stand for something and stand up for the Constitution itself. On Tuesday November 8 I will walk to the polling place down the street and proudly cast my vote for Gary Johnson, the Libertarian candidate. 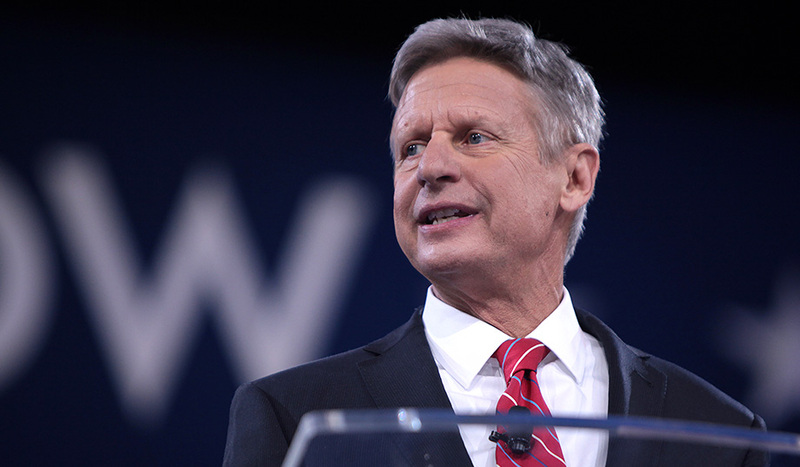 While not as polished as most presidential candidates, Gary stands for limited government, has a track record as the two term governor of New Mexico of fiscal responsibility, defending the rights of individuals and respect for the constitution. Down ticket I will vote the GOP line. The Republican Party will remain the only one which will be able to restore mainstream values to Washington in the wake of a likely Presidential train wreck. Whichever idiot wins that night, when their term ends on January 20, 2021 and they thankfully leave office (I have no doubt it will be a one term presidency), in my heart and soul there is trust the Republic will be as strong and resilient as it has been for the last 240 years. 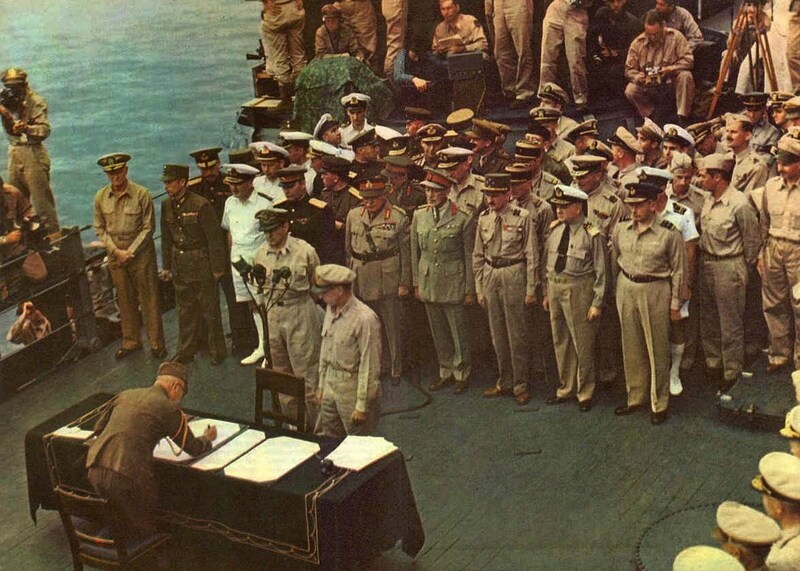 Seventy years ago today (August 15 in Asia), the Empire of Japan surrendered to the allied forces in the Pacific bringing to an end a conflict that had embroiled the world for almost a decade and cost as many as 100 million lives, the exact number of which will never be known. For those who fought, the many who died in combat, those who have passed over the last seven decades and the resilient that live among us today, we owe you a debt of gratitude which can never be repaid. You paid a price so that those of us who have been born since that August day would never have to truly understand let alone experience the horrors you saw. You are truly part of the long line of patriots who established and preserved the freedoms we cherish so greatly. Today we thank you for those freedoms which we enjoy every day. 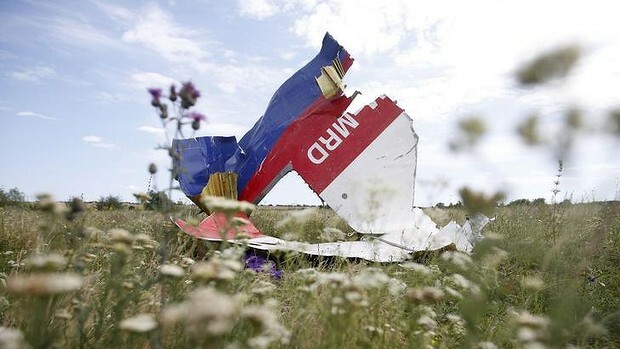 Today marks the first anniversary of the shooting down of Malaysian Airlines flight 17 over Ukrainian by Pro- Russian rebels. While Malaysian Airlines can be faulted for flying over an area of known conflict even though the airspace was open, today there is no doubt that this was a deliberate act of mass murder committed by Pro-Russian rebels fighting the Ukrainian government. There is equally little doubt that the BUK Missile launcher used by those rebels was provided by the Russian Government of Vladimir Putin. Indeed many speculate that given the difficulty and considerable training needed to operate there may well have been Russian military advisors and or operators at the controls of the BUK launcher. These questions do nothing to change the fact that Russian President Vladimir Putin bears personal responsibility for constructing the environment that lead to these deaths, a criminal accessory before the fact to 298 counts of murder. Video which has aired today shows gruesome images of the Pro-Russian thugs rummaging through the personal effects of the dead and treating their remains without respect in the moments after the attack. International investigators were kept away from the crash site for several days and once they arrived it was clear the wreckage had been tampered with in such a way that there will always be unanswered questions. Very much like KAL007 in 1983, the Russian military showed they have no moral hesitation shooting down civilian airlines without regard to cost. While the west was quick to express outrage at the shooting down of a civilian airliner by irregular Russian forces, they have been long on words and short on action. The European nations are reluctant to too deeply offend their commercial partner Russian and the Obama administration continued its policy of spineless appeasement. But let there be no doubt, Vladimir Putin is a cold blooded murder whose hands will be forever blood stained. Never has appeasement deterred international criminals from further bloodshed. As the families mourn the anniversary of their loved ones deaths, we must wonder who will Putin kill next? Buried inside his long wordy statement was a tremendously insightful glimpse into the leftist mind. The President said we should all look at the conditions in prison and be grateful that there but for the grace of god go we. WRONG. The president, like the institutional left, seems to think each of us is equally bad and but for luck we could have ended up in prison. WRONG. The vast majority of Americans are not in prison because they decided to NOT COMMIT CRIMES! Those who are there decided to break the law or hang around with those who did. They are not there because they learned to count watching Sesame Street and not in Pre-K, but because they lacked the self control to obey the law. Life isn’t easy for most people. Almost everyone has been in a bad place at one time or another where there was an easy way out that was not legal. The difference is the vast majority of people chose not to commit a crime. Many of us on the right would agree life in prison for a first offense drug dealer and 20 years for a bank robber is not fair and sentencing needs to be re-balanced. But the left has fundamentally believes there are no bad people and nobody is responsible for their own action. The solution to crime is not more unionized teachers babysitting Pre-K or hot school lunches for all. Crime reduction will only be achieved when parents as well as the community teach people right from wrong, good from bad and to accept personal responsibility for your actions. America is a nation where the quality of an individual should not be judged by the size of one’s wallet and where we believe in second chances and redemption. But there are consequences to actions and while second chances are noble, repeat felons are not “unfortunate”, they are just bad and should be treated very humanly in prison. 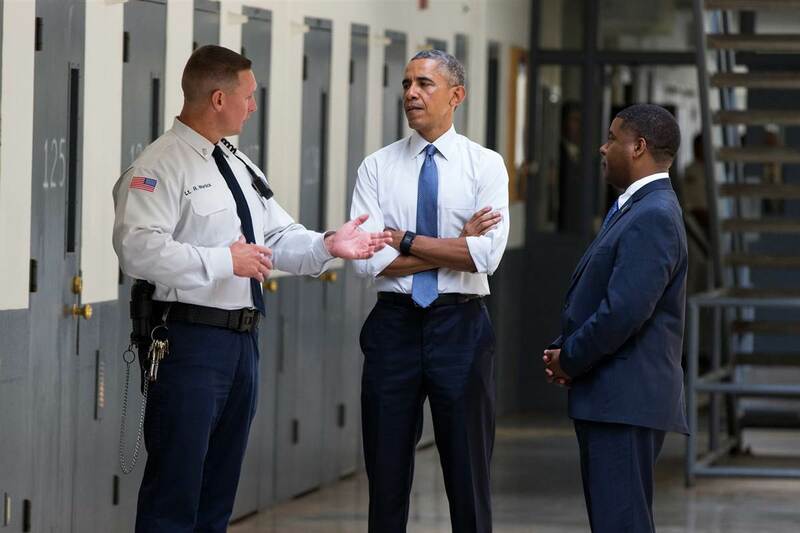 Sorry Mister President, your prison photo-op was a flop, but rather insightful.